Don’t like pickled fish? 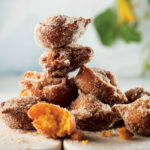 Try these fish recipes instead! 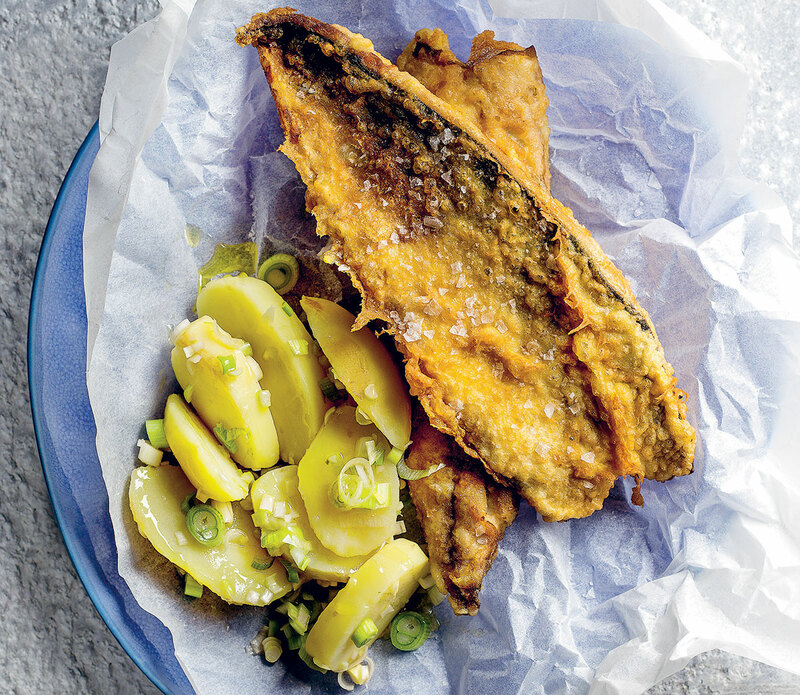 There is a distinct dividing line between those who love pickled fish and those who don’t. 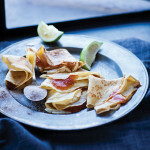 Love it or hate, everyone will tuck into these fishy dishes come the Easter weekend. 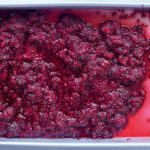 Steamed, cured, baked or made into cakes… there is a fish recipe here to tickle anyone’s fancy. 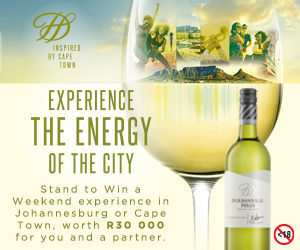 We bring you 10 of the best (3 of which are on the braai!). 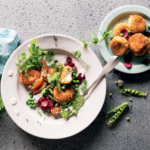 Cook’s note: These no-mash fish cakes are delicious as a light starter. 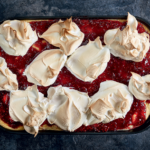 You can also make small cakes (or even balls) to pass around on a platter with a large bowl of the aïoli for everyone to nibble on (double the fish cake quantities). 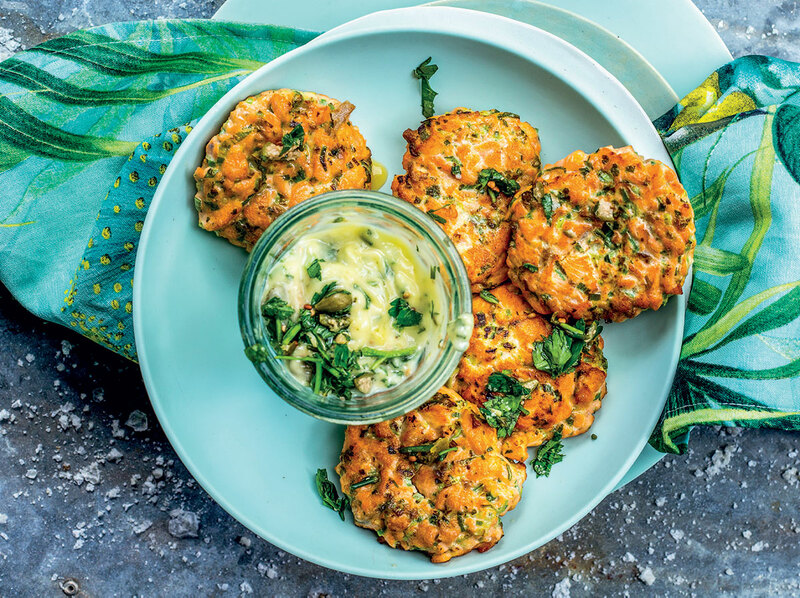 Try the fish cakes with lemon caper aïoli recipe here. 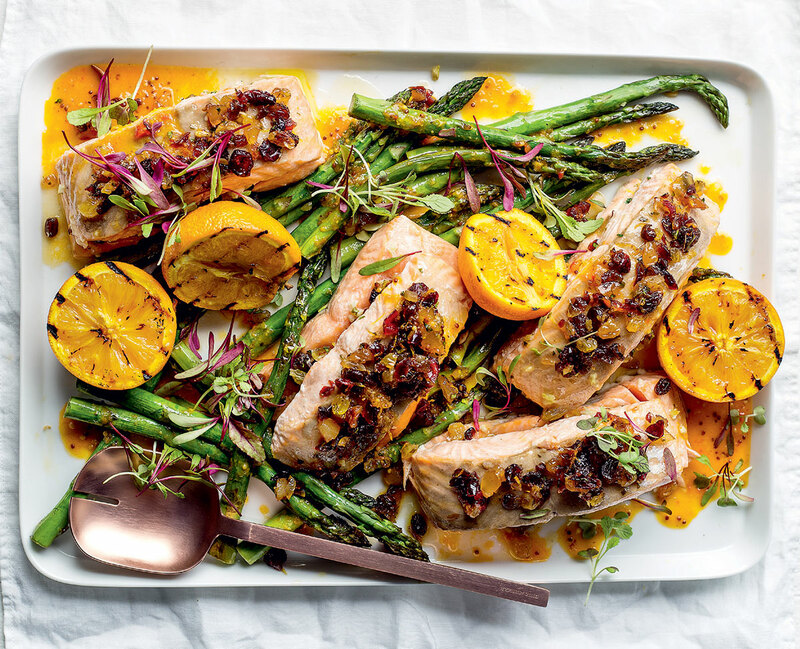 Try the braaied snoek with apricot glaze recipe here. 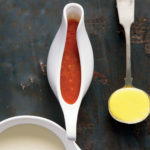 Cook’s note: The basil pesto is just genius, adding a punch of flavour and acting as the “glue” for the breadcrumb crust. 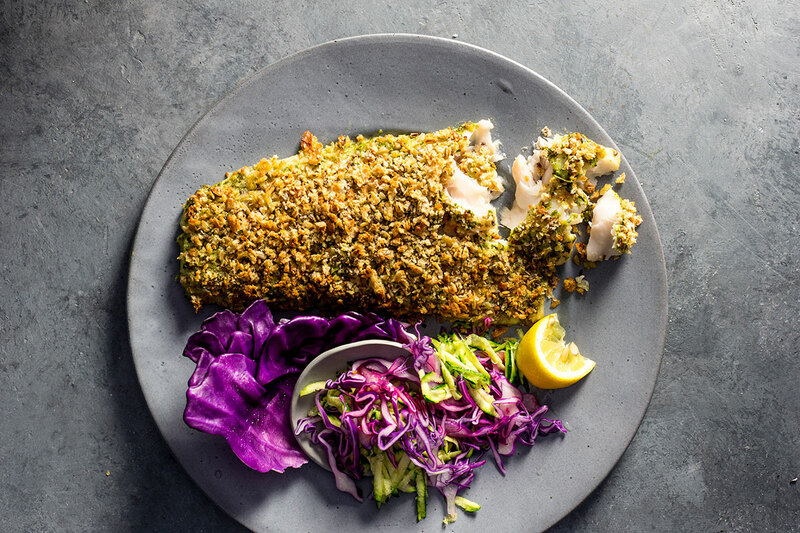 Try the basil pesto-crusted fish recipe here. Try the stuffed salmon recipe here. 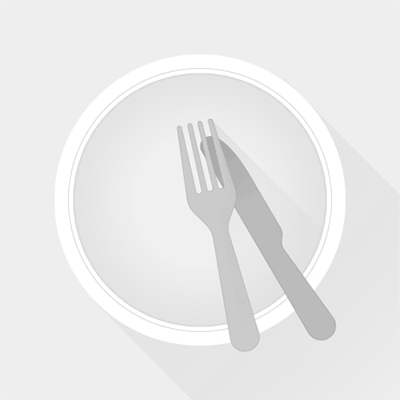 Cook’s note: The strong flavour of the mackerel works beautifully with the vinegar and onion. 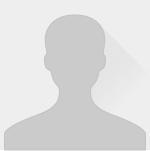 Try the mackerel with warm vinegared potatoes recipe here. 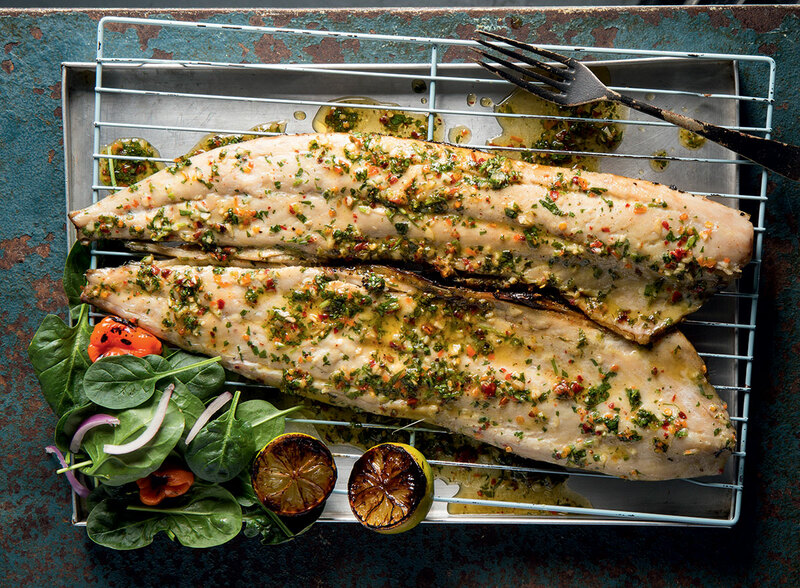 Cook’s note: Cooking the snoek skin side down helps to prevent it from drying out. Cover with the lid of a roasting pan to allow it to cook through. 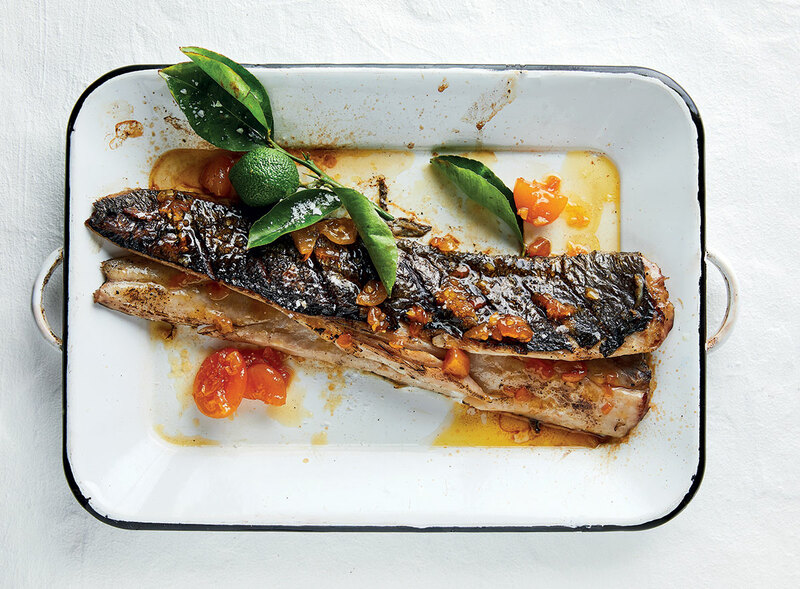 Try the sticky chilli smoked snoek recipe here. 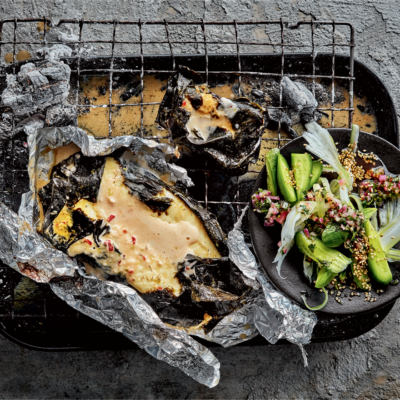 Cook’s note: Take your fish to the next level by dipping it in an Asian-inspired sauce, then wrapping it in sheets of nori, followed by tinfoil, to make sure the fish stays nice and juicy. The look on everyone’s faces when you unwrap the foil at the table? Priceless. 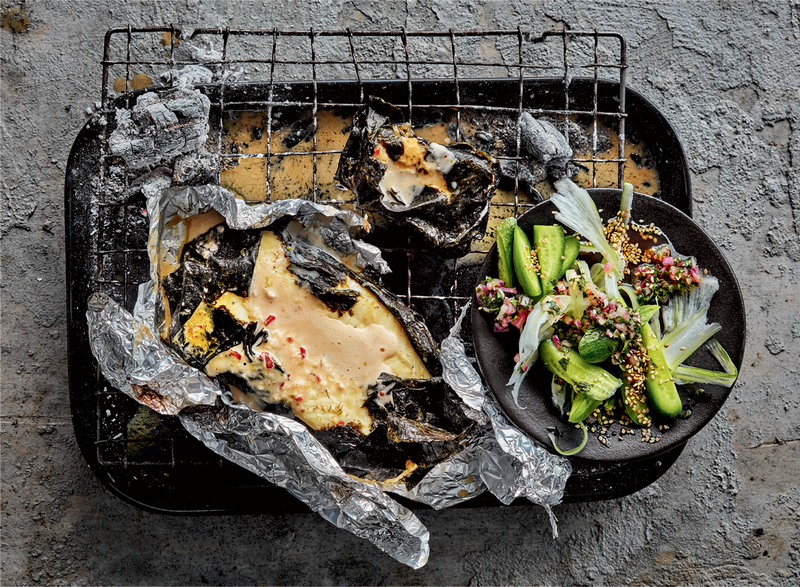 Try the braaied fish parcels recipe here. Cook’s note: Hands down, this is the best roast you can whip up fast. 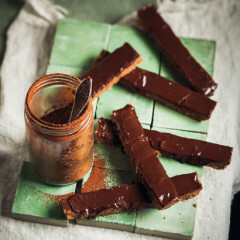 Great for last-minute guests or a Friday-night treat after a long week. 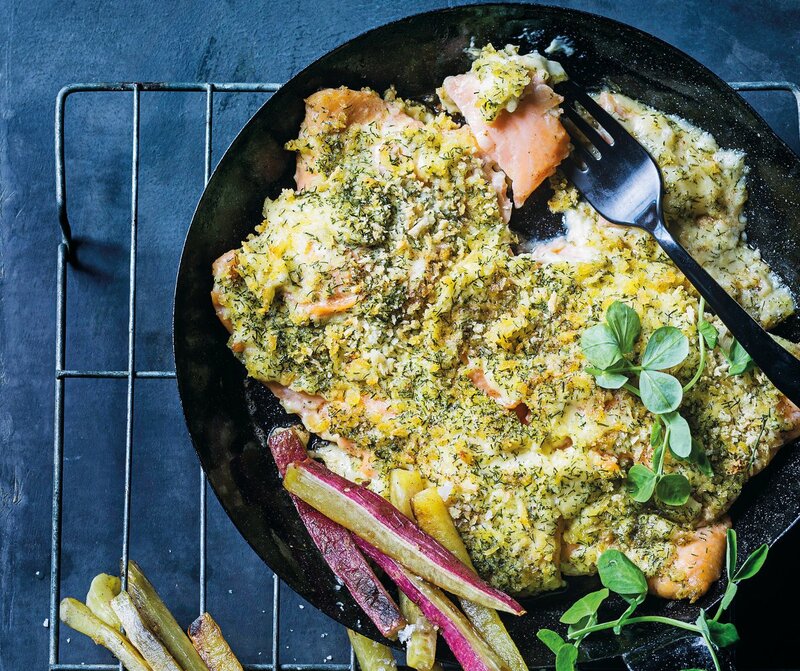 Try the cheat’s lemon-and-dill crumbed salmon roast recipe here. Cook’s note: Roasting fish in paper lets it steam in the juices and absorb the delicious, vibrant flavour. 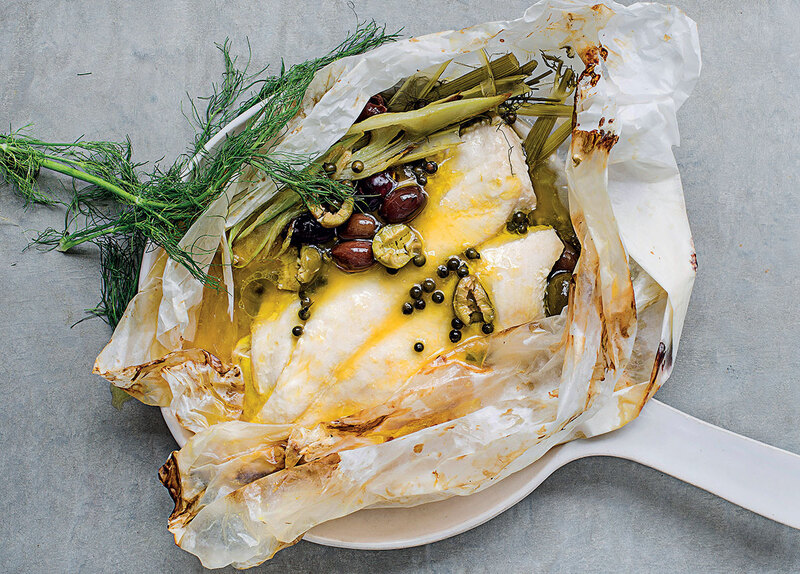 Try the fish en papillote with orange juice recipe here. 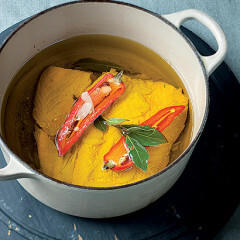 Cook’s note: Curing fish at home is easier than you think. 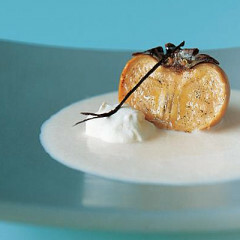 Lime juice “cooks” the trout and its tartness is balanced by the sweetness of apple juice. Maximum flavour for minimum effort. 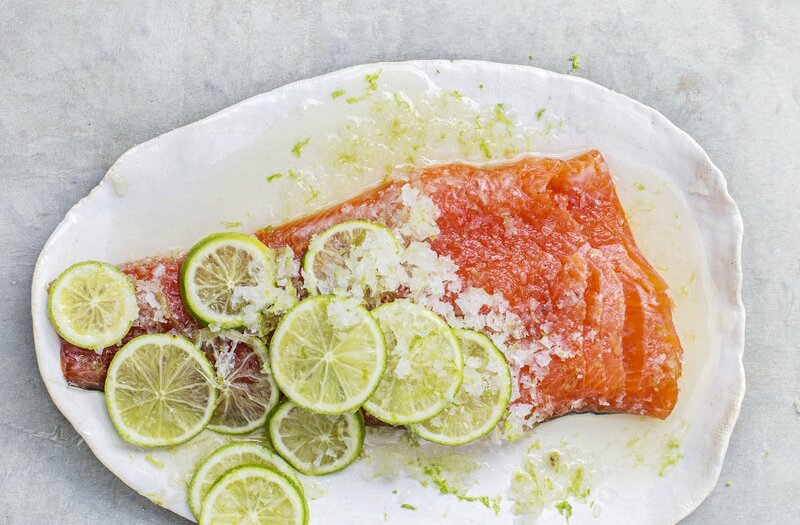 Try the apple juice-and-lime-cured trout recipe here. 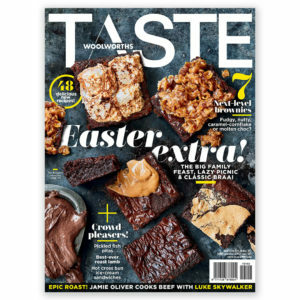 Discover more Easter-inspired recipes here.